Steven and Samantha would like to welcome you to Park Road Kennels & Cattery, a beautifully peaceful place where your pets get the holiday that they truly deserve. 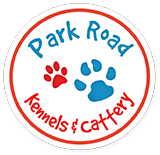 Park Road Kennels & Cattery offer boarding facilities for pets 365 days a year, and at very competitive rates with no additional charges for bank holidays and Christmas. Please contact Park Road Kennels & Cattery today to find out more information about our boarding facilities, or to arrange for your pets to go on a fantastic holiday. Park Road Boarding Kennels & Cattery are a friendly, welcoming and well-maintained Boading Kennels and Cattery situated on the outskirts of the Barrow area where it's peaceful and quiet. We are a long established, family run pet boarding business that has been providing boarding facilities and intensive care for cats and dogs since 1983. The key to our many years of success in the business lies with our genuine passion for cats and dogs, which we are fortunate to have been around all of our lives. Our aim is to provide our clients' pets with the very best boarding facilities and personal care possible. With our Boarding Kennels and Cattery being located on the outskirts of Barrow, we are able to accommodate and provide care for cats and dogs from areas including Dalton, Askam, Kirby, Millom, Ulverston and anywhere else across the Cumbria district. 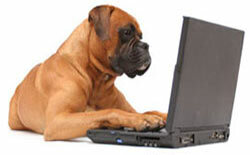 We have an excellent reputation within these areas for looking after your beloved pets, as if they were our very own. With such a high standing reputation, you can enjoy your break with complete peace of mind knowing that your pets are safe, comfortable and secure. 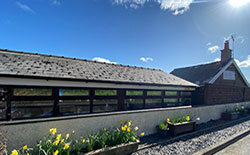 For over 30 years, Park Road Boarding Kennels & Cattery have been the areas number one choice throughout Cumbria for providing intensive pet care by our dedicated and experienced staff. Collectively, our pet loving staff have over 50 years combined experience in caring for the animals entrusted to us.